This jacket is something that I’ve wanted in my wardrobe for such a long time! I see everyone wearing it and I finally found one that I love and works so great to add to any outfit. I bought this one from Fox and Wit Boutique and it was very inexpensive considering the amount of jackets that are like this are. I am obsessed by wearing it! Its very very warm and I love that it makes me feel like a million bucks! I love this jacket and I love how to add to the name I found a teddy bear beanie from Zulily. I honestly love that zulily ships super fast and efficiently and that I don’t have to worry about duty and extra taxes. I linked all the products in the photos at the end of this post and If you want to purchase this jacket check out vancouver boss babe Janean from Fox & Wit and tell them I sent ya! This jacket is such a gorgeous find! And I am obsessed to wear it everywhere I go! This jacket is super special because I actually bought this jacket while I was super pregnant with my second baby! I saw that Privilege Clothing had outerwear on sale and I couldnt’t resist for the price and the color! It was meant for me! I bought this BB Dakota Jacket on a whim and the size I figured I would be after baby! Well I was definitely lucky! I’m obsessed with it! When.. well this year is when I can actually put it on! It was the like the sound effect of a hallelujah! It is the perfect jacket for anyone who needs that light weight feel but warm insulation. Can we talk about the length? It is absolutely perfect for these long winter months. If you want to purchase this jacket check out vancouver boss babes Privilege Clohing here! Also tell them I sent ya! If you follow me on social media you know that I love love this jacket! … OK i’m obsessed with it! It is the perfect jacket for anyone who needs that plaid life and a warm one at that! Perfect for fall and it honestly hits you in the perfect spots for a smaller jacket when it comes to length. I love the buttons that do up in the front and I love the buttons that are on the sleeves. It gives you the option to have them done or undone. 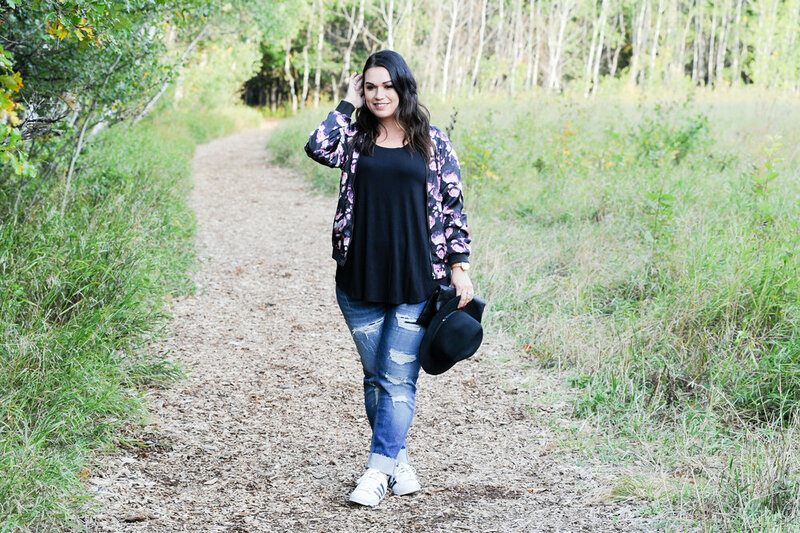 I love this jacket and I love how I created this look perfect for fall/winter transition! If you want to purchase this jacket check out vancouver boss babes Privilege Clohing here! also tell them I sent ya! I also linked down below where you can get this jacket! The color of this plaid is so nice! That when I saw this plaid on the rack I couldn’t help but fall in love with it! I love shopping at Maurice’s a lot! I love how inexpensive their clothing is and that the online store is awesome for the simple fact that their clothes are very inclusive to a lot of body types when it comes to fashion! Their sizes go from small to 3X! MIND BLOWN! I honestly haven’t seen a plaid top like this one and that it actually looks really nice to wear. I love how comfortable it is and how incredibly light weight it is. I always look forward to when new product comes out either on the gram or in my email subscriptions!!! Check them out for yourself! This sweater…. Um… is first off amazing! This sweater is ridiculously soft and I love how oversized it is. The sweater is from Fox & Wit Boutique! 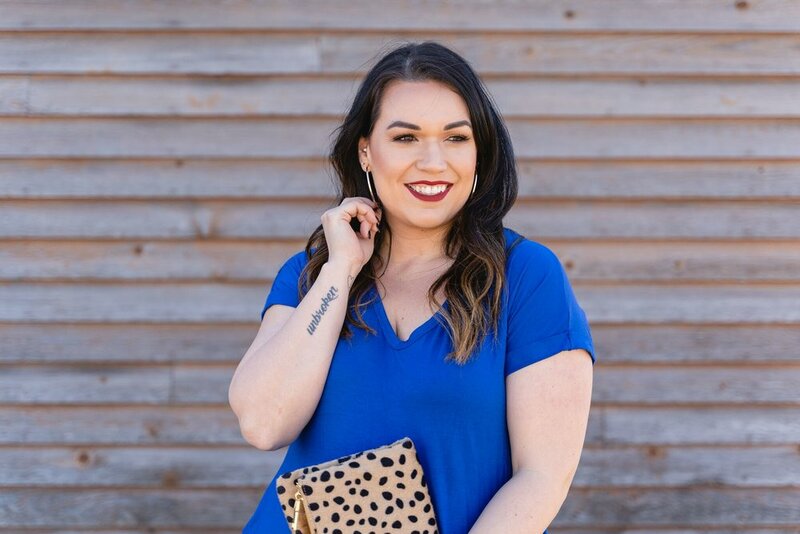 I love this online store so much because it is run by Vancouver Boss Babe Janean. I always look forward to new product that comes out! The online store is awesome for the simple fact that their clothes are very inclusive to a lot of body types when it comes to fashion! Their sizes go from small to 3X! AMAZEBALLS! If you don’t believe me check them out right here foxandwitboutique.com! Our Christmas Tree & Decor 2018! Christmas decorating is one of my absolute favourite things to do in this world!!!!!! I mean I love decorating in itself, when it comes to birthdays or just rearraging wall art or just to making the bed! I get this passion from my madre! She was always DIY-ing her house and always had the holidays decorated for every occasion! How fricken cute is this sweater? This sweater is from Fox & Wit Boutique! I love this online store for the simple fact that their clothes are very inclusive to a lot of body types when it comes to fashion! Their sizes go from small to 3X! Thats absolutely amazing! I love the variety of clothing they have to offer and as well the owner herself Janean, she is the most kindest and sweetest human alive! I am so happy to have found her on instagram and her soul is a beautiful one! I love our little DM chats and is always looking out for your best interest! I could go on and on but its true! Make sure you check out her online boutique and tell her I sent ya! This sweater is one of the many that I have from her store and I am so so happy with it! I love the compliments I get wherever and whenever I wear it! This blouse is truly one of my favs at the moment! I love how long and baggy it is! Can we talk about the sleeves??!?! I love that they can be opened at the top or bottom. I’m so so happy to have purchased this blouse from Winnipegs Loka Boutique. I love Loka Boutique so much! Its a store that I go to when I want to indulge in some fab pieces! I paired this look with my absolutely favourite sam wash girlfriend jean from Silver Jeans. A gorgeous Leopard print for a clutch. And the most perfect black hat from a surprise find at Home sense here in Canada. Big Red & Chunky Scarves! This scarf and T-shirt dress is absolutely everything! I’m so so happy to have received this scarf in the mail with my latest Style for the Priv Subscription Box. I couldn’t believe how soft this is and how chunky and cozy it feels to the skin, especially around the neck. I honestly love how I paired up this look. I feel like this look is perfect for fall/winter transition. Hey everyone! This sweater is everything! I’m so so happy to have found this sweater and how comfortable it is and the colour alone is perfect for this holiday season. This sweater is perfect with jeans or leggings as shown here. Let me know if you ordered this sweater or are planning on ordering this sweater in the future in the comments down below. I recently had the opportunity to experience Fort Whyte Alive for the very first time! LOKA has been my favourite local place to shop for the past 2 years and they celebrated another year of business! Check out my haul here!